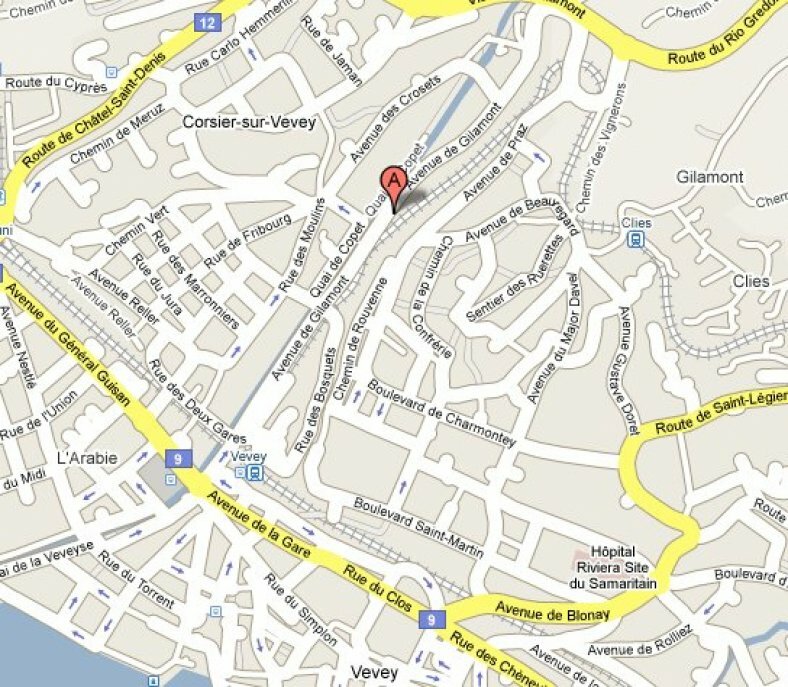 Please note that the Action Biblique church in Vevey, La Riviera is a French speaking church. Services are currently only in French every Sunday at 9:45am. However we provide the following web pages to give an overview of the church for those who might be interested. The church is located at l'AVENUE DE GILAMONT 24. From the Vevey train station, walk up the north side of the river Veveyse. After the lights, continue for roughly 200 m. On the right of the street is located our building Menuiserie Baer, with a a sign Église Évangélique. Take the stairs on the left side of the building which lead to the entrance. WELCOME! We look forward to meetin you! Please see the below map for details.